Survey: Are Technician Specialist Credentials Worth It? I distinctly remember the feeling when I achieved my veterinary technician specialist (VTS) certification in emergency/critical care. When the letter came in the mail, I couldn’t open it myself, and a friend had to do it. I will never forget how I felt when he told me I had been accepted as a member of the Academy of Veterinary Emergency and Critical Care Technicians. Do the extra credentials improve your career? Many technicians have put their blood, sweat, and tears into the VTS process, and a collective group was surveyed about the process, the journey, and the ultimate success of achieving VTS status. Eight veterinary technician specialists participated in the survey, which focused on reasons for pursuing a VTS certification, mentorship and the application process, and professional improvement. The respondents represented 5 different academies: Veterinary Emergency and Critical Care Technicians, Veterinary Internal Medicine Technicians, Veterinary Dental Technicians, Veterinary Nutrition Technicians, and Veterinary Technicians in Clinical Practice. Most participants said they elected to pursue a VTS certification based on a desire to advance professionally. They were also influenced by technicians with the certification and by their colleagues. None regret the decision. Most respondents received little mentorship, although several academies do have mentorship programs. Several credited the veterinarians with whom they worked with helping them didactically or clinically. The application process was described as “doable,” to “grueling,” to “challenging but not impossible,” with all respondents commenting on the satisfaction of seeing the light at the end of the tunnel after completing the application and examinations. One respondent found the training process difficult because she had to ask to be allowed to lead advanced procedures, citing that other team members did not seem to understand such cases were required for her training, and she often had to remind her team members that she was undergoing intensive training. Other respondents said they found it difficult to understand what knowledge was required for the examination and consequently how to prepare properly. One respondent urged that more information be made available for candidates, who need to know more details than the general sense of if you think you need to know it, you need to know it. In the professional improvement section of the survey, half the participants said they had a financial incentive for achieving their certification (eg, pay raises, book stipends, extra CE benefits). The other half cited other perks, such as schedule flexibility for attending conferences or giving presentations, and the satisfaction of inspiring team members to also achieve VTS status. The VTS certification led to teaching and writing opportunities. Professional development was one positive common theme; the VTS certification led to teaching and writing opportunities for each respondent. Many also believed they improved the quality of veterinary nursing or education at their practices and institutions and said they hope the VTS status will give them a stronger role in the practice team, similar to the roles that nurse practitioners and physician assistants play in human medicine. Achieving VTS status demonstrated a technician was “[doing] the best possible job” and that could only benefit the veterinary profession, they believed. However, participants also expressed frustration that veterinarians, other technicians, and even clients neither understood the importance of VTS certification nor recognized that technicians are a young, fast-growing profession that needs support and guidance. One participant believed that some academies are very exclusive, making it difficult for general practice technicians to develop. The goal of the recently developed Academy of Veterinary Technicians in Clinical Practice is to provide opportunities for technicians in general practice and may be an avenue for technicians in general or family practice to achieve VTS status. Despite any struggles the participants experienced, all recommend the specialist certification process. 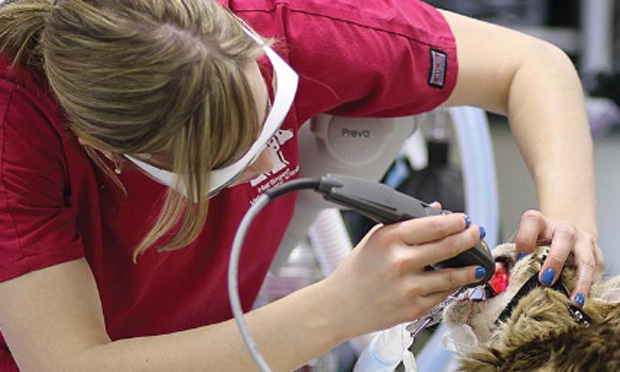 Be prepared for a process that is neither easy nor short, one respondent urges, but know that any technician who wants a career in veterinary technology, not just a job, will reap the rewards.